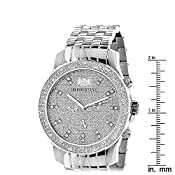 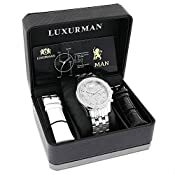 This Designer LUXURMAN Mens Diamond Watch features 0.25 carats of genuine diamonds, a polished silver tone stainless steel case, a black genuine leather strap and a dial paved in white sparkling stones. 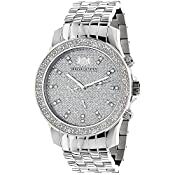 This LUXURMAN real diamond watch showcases a fine Japan-made quartz movement and is water-resistant to 30 m (99 ft). 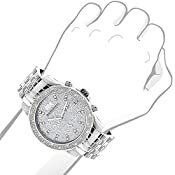 0.25 carats of genuine diamonds. 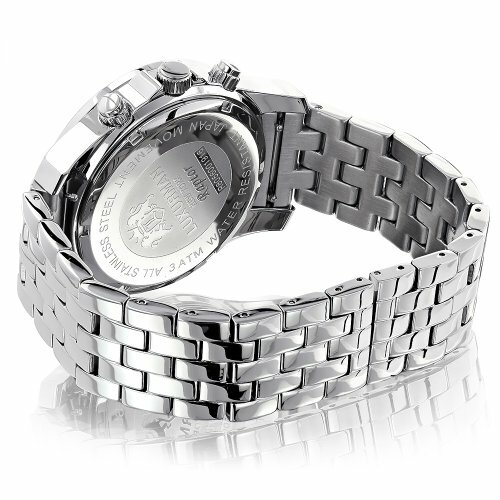 Oversized 46mm stainless steel case.